Over the last couple of weeks, we have provided insight into 7 of the 11 Indicators of Wellbeing in relation to children’s mental health and resilience. These were : Structure, Parent-Child Relationships, Consequences, Strong Relationships, A Powerful Identity, A Sense of Control and A Sense of Belonging. #thursdaythoughts #parenting #childrensresilience #childrensmhw #antibullying #itsnotokay . This week, we take a look at two more Indicators of Wellbeing that are crucially important for parents to help children develop their resilience : Rights and Responsibilities, and Safety and Support. As our children grow up, they should expect a level of care and attention as well as being treated with fairness and respect from us as responsible parents. Part of that upbringing is to allow them to make mistakes, but within certain boundaries so they do not harm themselves. They are also entitled to grow up within a loving family environment whether from a rich or poor background. A sense of abandonment can exist for children from rich backgrounds from parents that are perhaps far too busy with their working lives, as well as from poor background where parents do not spend enough times with them. With physical or emotional neglect comes the threat of our children “going off the rails” as they can be subject to peer pressures from outside the family life that can have a de-stabilising impact on them. Without parental oversight and more effective communication, children can become prey to any number of negative influences. Evidence suggests that a range of factors impact on the mental health of our children – bullying, cyber bullying, body image problems, increasing levels of self-harm, grooming, domestic abuse, parental divorce (break-up of the family home), etc. The above paints a grim background but importantly this is a real picture for a whole generation of children growing up with mental health problems and depression. The gravity of the situation facing youngsters is such that the World Health Organisation (WHO) has suggested that “If we don’t act urgently, by 2030 DEPRESSION will be the leading illness globally”. Today’s youth, who should have the world at their feet, will become tomorrow’s depressed generation of adults. The critical point is to deal with this positively and the fact is that teachers are not equipped to do so on their own. The education system cannot delve into the state of the child’s mind without a proper and accurate assessment. It needs to be done as a parallel activity with the teaching of health and wellbeing because the influences also need to come from parents who need to be educated in this, too. Our children need to experience their homes and schools as places where they are treated fairly. Our children need to be protected from racism, sexism, and other forms of intolerance. Our children need to be shown how they can talk back to people who exclude them or take away their rights. They need to be able to do this without becoming violent. Our children need to be given responsibilities at home where they are safe to make mistakes. Our children need to be valued for the skills and abilities they have and offered opportunities to use these for their benefit and the benefit of others. Our children need access to the social determinants of health — things like housing, safe streets, well-resourced schools, and parents with the time to pay attention to them. Children, whether rich or poor, who experience physical and emotional neglect tend to grow up with problems. Give children what they need and they are more likely to be problem free and flourishing. Children who get their basic needs met, including opportunities to participate in recreational programs, are children who will feel better about themselves. Children who feel better about themselves are less likely to need expensive services like mental health clinics, social workers, and prisons. Our app, APPA, uses a talking avatar called “Alex” to engage with 12-18-year-old children. It’s easy to download and can be used on mobile phones, iPads, laptops, PS4 etc. APPA provides the formal assessment of a child’s resilience as a parallel activity to the formal education system teaching them about emotional health and wellness. In other words, simply by making health and wellness part of the curriculum will not give teachers a clear picture of where the problems lie for a child nor the extent of the problem. 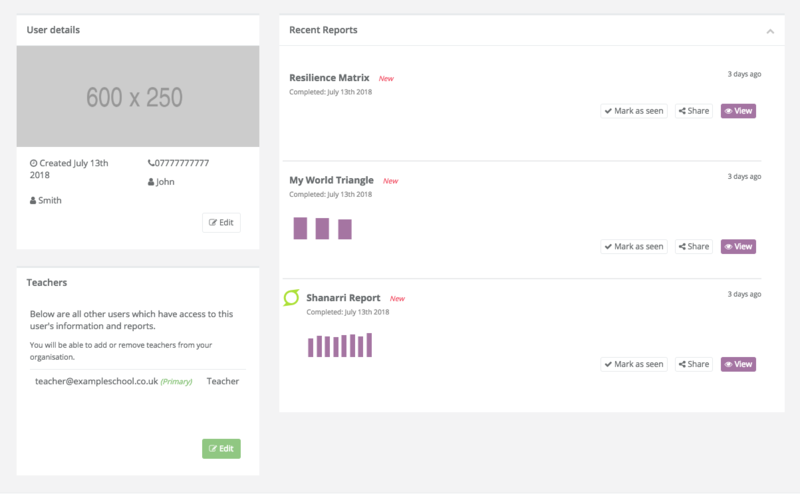 APPA provides a more precise scoring system to focus attention of teachers and educational psychologists. The results provide measurable outcomes based on what the child’s answers are i.e. an accurate score based on a percentage for EACH indicator. This exercise is carried out 3 times a year which allows the teacher (and parent) to see where that child is doing very well and where he/she requires additional support. Next week, which is the final of the four week posts, we concentrate on the last two Indicators of Wellness : Positive Thinking and Physical Health. Let us know what you think of this article. Was it informative and helpful? Call us on 0141 847 0774 or email at info@myappa.it for more details. APPA is easy to use. It assesses, improves and measures resilience against 11 Indicators of Resilience. Download it today and try the first module of questions for FREE!